The total performance of Pro V1 and Pro V1x tee-through-green – providing the best combination of distance, flight, short-game scoring control and feel – makes them the best fit for any golfer. “Golfers often ask us what sets Pro V1 and Pro V1x apart from other golf balls. You can’t just point to one or two things. The difference is everything,” said Bill Morgan, Senior Vice President, Titleist Golf Ball R&D. Pro V1 is a three-piece, multiple component technology with a very soft compression ZG process core, ionomeric casing layer, softer thermoset urethane elastomer cover, and spherically-tiled 352 tetrahedral dimple design. Pro V1x has a slightly firmer feel and lower long game spin and launches higher with a steeper angle of descent than Pro V1. Pro V1x is a four-piece, multi-component technology with a ZG process dual core, ionomeric casing layer, softer thermoset urethane elastomer cover and spherically-tiled 328 tetrahedral dimple design. 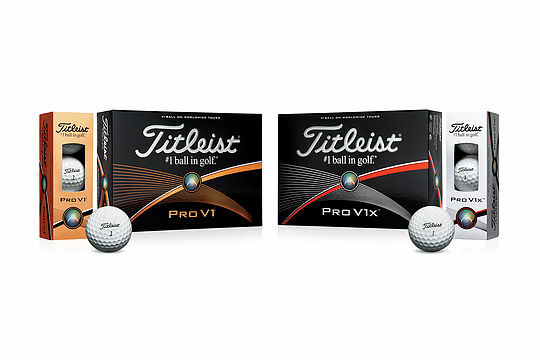 The new 2015 Pro V1 and Pro V1x golf balls will be available in golf shops beginning Feb.7, 2015, with a suggested retail price (SRP) of AUD$74.95.